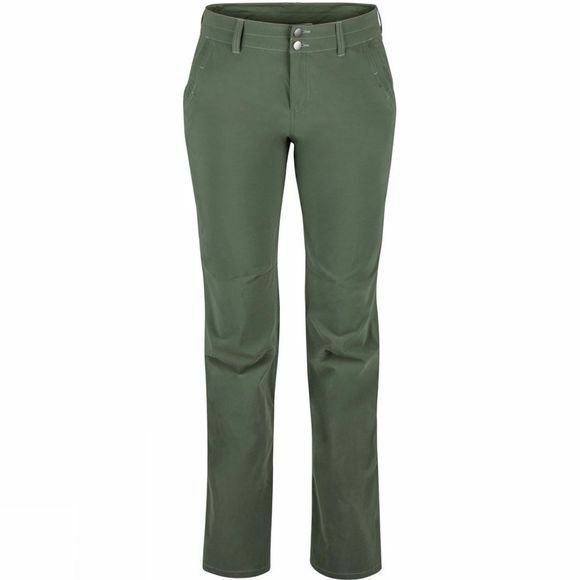 Make all sun all day cool again in the Womens Kodachrome Pants from Marmot. 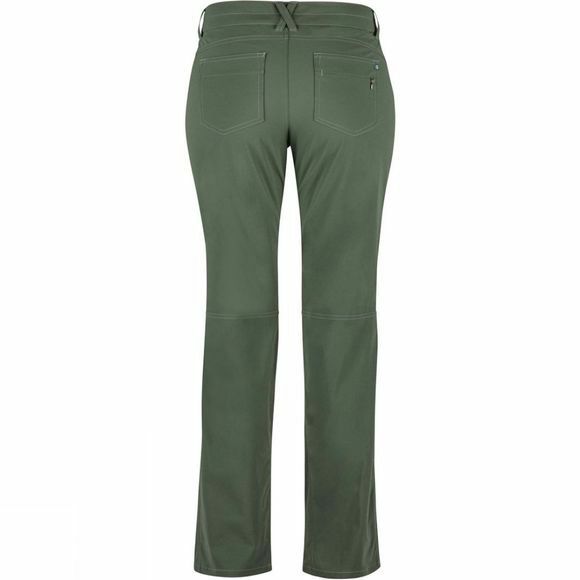 This pant's fabric weave offers sun protection up to UPF 50 and utilizes state-of-the-art CoolExchange fabric technology that actually leaves you feeling cooler by lowering body temperature. Stretch, articulated knees and an inseam gusset allow plenty of mobility, while the abrasion-resistant fabric's DWR finish enables it to shed light moisture in the case of a shower or a splash. Roll-up cuff features.